Tufted annual with numerous slender stems 3-20 cm. tall. Leaves few, near the base, variable, sometimes with normal sheath and elongate, slender blade, sometimes the lower leaves reduced to bracts and the upper one with a sheath and very short blade. 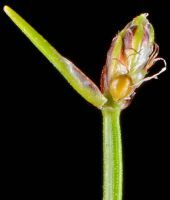 Inflorescence a solitary spikelet 2-5.5 mm. long with several perfect flowers, sub-terminal, at an angle to the culm, with a single involucral bract up to 1 cm. 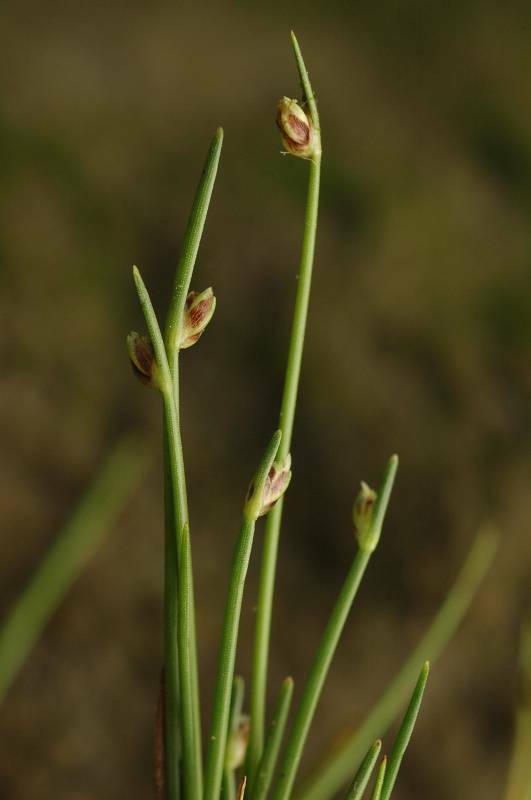 long; flowers subtended by scales 1.5-2 mm. long, often purplish, with parallel nerves, the mid-rib greenish or pale; perianth bristles none; stamens 3; style trifid. Achenes triangular, about 1 mm. long. Publication: Syst. Veg. 2: 106. 1817. 1817. 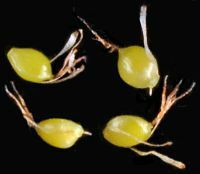 PNW Herbaria: Specimen records of Isolepis cernua in the Consortium of Pacific Northwest Herbaria database. WA Flora Checklist: Isolepis cernua checklist entry. E-Flora BC: Isolepis cernua atlas page. 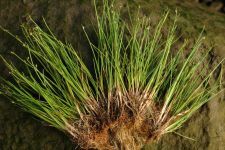 USDA Plants: Isolepis cernua information.